No one likes feeling isolated. Captioned telephone service for your patients gives them the gift of staying connected to friends and loved ones. Now it's easier than ever because in TIMS 6.06, you can order a captioned telephone right within TIMS. If you haven't updated to the new TIMS 6.06 version yet, we have a few great reasons why you should. There are some developments we are excited to share with you in User Tasks, Accounts Receivables, and SLP features, just to name a few. And, in working with our partners to make ordering captioned telephones quick and simple, we are pleased to announce that it's easier than ever to get your eligible patients a captioned telephone at no charge to them. 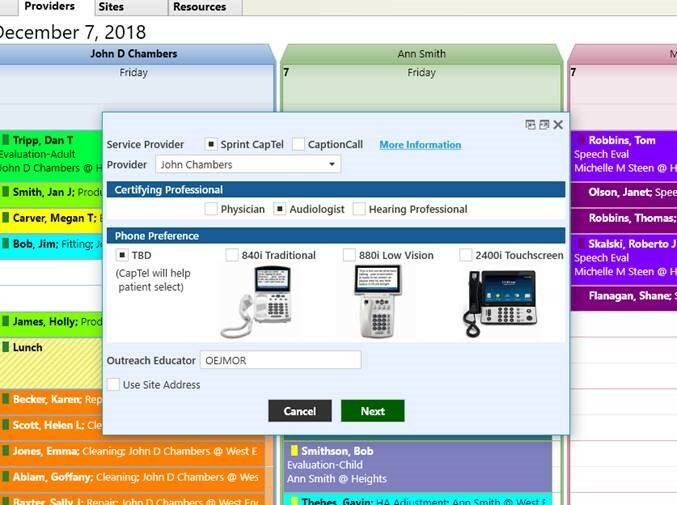 Now available in TIMS 6.06, you have the ability to order a captioned telephone for your eligible patients simply by using your patient record to auto-populate the certification form, then submit it right through TIMS. Best of all, it takes about 1 minute. If you haven't scheduled your 6.06 update yet, be sure to contact Audiology Support. just how easy it is to give your patients the gift of communication.